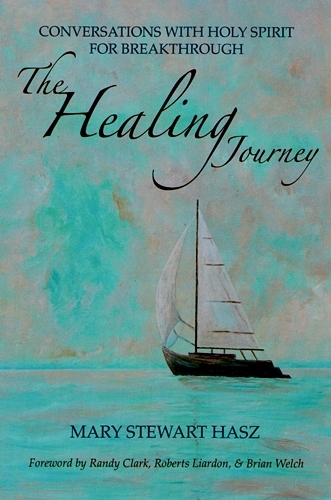 Mary’s journey of healing gives hope and inspiration. God worked a miracle as He revealed to her both His mysteries and His truths. Drawing on her personal conversations with Holy spirit, Mary has written practical keys to achieve emotional, spiritual, and physical healing. Mary Hasz is a graduate of Global School of Supernatural Ministry and is an amazing minister of the Word of God and the power of creativity. This book, which details her miraculous life and testimony of God’s restoring power, is a great encouragement to anyone who is struggling with a chronic disease. The insights she gained from Holy Spirit will give anyone the grace to see this same kind of healing that has been promised to s by Jesus. These “power keys” are shared with simplicity, but also with a deep revelation of the Father’s heart regarding healing. I can tell you that Mary is “the real deal”, and you can receive much from God through this work. I love the way the spiritual can be brought into practical application. Without the mixing of the spiritual with the natural nothing manifests in the earth. In this book, we are taught how to take the spiritual principles/keys and apply them through natural means. Much like Jesus telling the people to “take up their bed and walk” miracles ensue as faith is practically engaged. This personal testimony of healing will inspire and help many grab a hold of all Jesus has provided for us. Mary Stewart Hasz is an author, prophetic artist and traveling minister. Through her conversations with Holy spirit, she overcame an incurable form of muscular dystrophy. She carries a message of hope and love. Mary invites people into the journey of the heart to experience the supernatural healing power of God. She and her husband, Rich, have five children and live in Moravian Falls, North Carolina.